We are FREEZING already! Im really glad we moved here, but im sure missing that Phoenix weather about now. 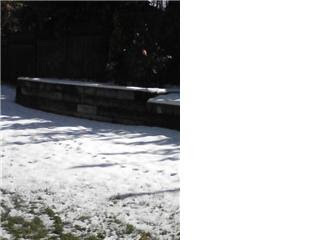 We have already had snow a few times this year but last night it really snowed (you know this if you were at the BYU game!). We had snow that "stuck" for the first time of the year... Nellie was not happy about the going out in it to go potty thing! 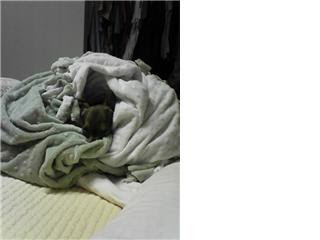 I put my blanket in the wash last night and when I got it out of the dryer Nellie curled up in it and growled when anyone came near it... i think she was afraid someone would take it away! The other night Dan and I were in bed watching Transformers (missing Greys Anatomy! ), which I very surprisingly loved! 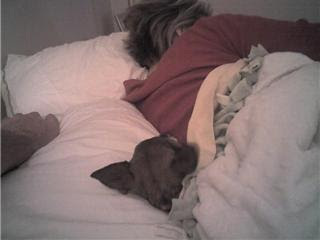 Nellie crawled in between us and got under the covers with her head on the pillow like she wanted to spoon! We are pretty sure she thinks she is my baby and Dans family thinks she is going to flip her lid when the "real" baby comes! I told them she will go through the same adjustment any "big sister" does! Its probably good we are having a baby now so people dont start talking about me as that crazy dog lady... hopefully they dont already! Today Nellie is protesting wearing a sweater, but its so cold! She loves to lay in the sun and bake, she follows the sun on the floor as it moves. 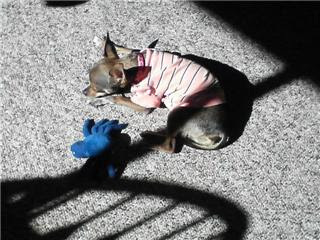 Its really funny, here she is laying in the sun with her spider (latest fav toy) and also hiding a pen cap she stole to chew on. I hope everyone is doing well. Im going to post more this week for Lindseys Birthday on Tuesday, and Dans birthday on Saturday. Lots of love! p.s. Mandy- I miss my nieces... maybe I can make it down there soon, Ive just been tired! We told Dans family a week or so before we told my family that we were having a baby... mostly because they knew/guessed and see me all the time. 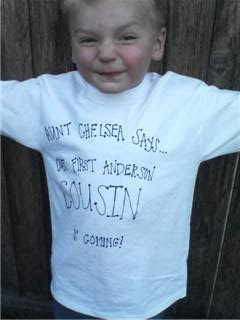 We decided to make t-shirts that say "Aunt Chelsea says... our first Anderson cousin is coming!". They were so cute and so excited to tell everyone for us. 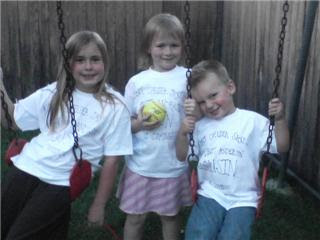 We had them put the shirts on and come up for sunday dinner... it was really fun! I went to the doctor today because I have been SO sick! Everything is going well and we are on track for May 24. Im doing better since they gave me a shot and a prescription. 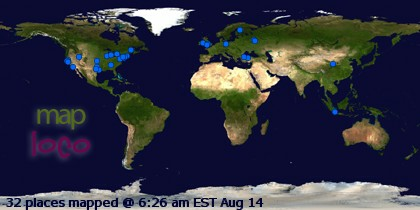 Hope all of you are well too! p.s. Nicole- I didnt think you spoiled the surprise, I thought it was so funny that I posted my blog while listening to conference thinking nobody would check then!!! Dan and I found out almost a month ago that we are having a baby! We are both a little nervous but really excited! Im really sick, but Im hoping it will get better soon! I am about 8 weeks due in May. I will write more later!